The Arc Maryland runs a scholarship program through the generous donation from the Knights of Columbus State Council. Small need-based scholarships (<$500.00) are available to individuals with intellectual disabilities for inclusive programs. Past scholarship winners have used these funds to attend their local “Y,” college classes, camps, and other inclusive activities. The Knights of Columbus Councils across the State of Maryland have a long history of work on behalf of individuals with intellectual disabilities. Through the years, they have seen individuals’ participation in community life broaden, and their dignity, self-respect and esteem improve through meaningful opportunities within local communities. To that end, and in an effort to support the work of our local Councils, the Maryland State Council, Knights of Columbus has developed the “Community Integration Program.” Assistance for program implementation is provided by The Arc Maryland. Expenses related to inclusive programs, conferences (registration fees only), or other activities wherein participation clearly supports an individuals right to participate in their community. The Community Integration Program was conceived for the sole purpose of assisting with the individual’s participation in typical community life. The program is designed to supplement funding when alternative resources are unavailable. The program is also intended to create positive experiences on which to build for the person with intellectual disabilities and, for the community, good impressions on which to form constructive conclusions about the benefits of including persons with intellectual disabilities into community activities. Thoughtful planning and coordination must be reflected in each application submitted for funding consideration. Applications will not be considered for routine or on-going training initiatives which are part of an individual’s service plan and would normally be funded through existing channels. We are accepting new applications. 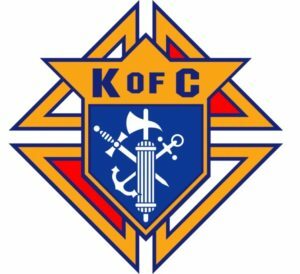 Please return a completed application to apply for the Knights of Columbus (KOC) Scholarship program. For the FY2018 KOC application, please click here for the application.